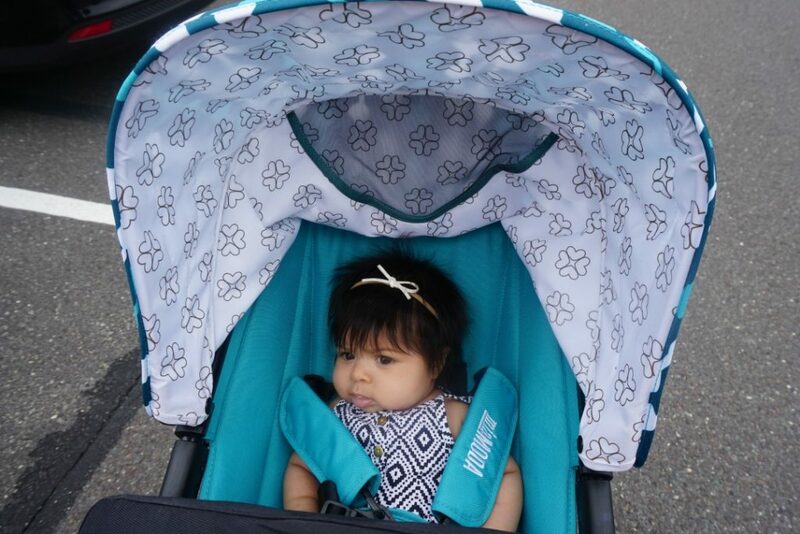 You are here: Home › Baby › Mia Moda Marissa 3-in-1 Stroller Review! Being a Mom Blogger I was get the chance to test drive baby gear. My ultimate favorite family/baby gear are.. strollers. 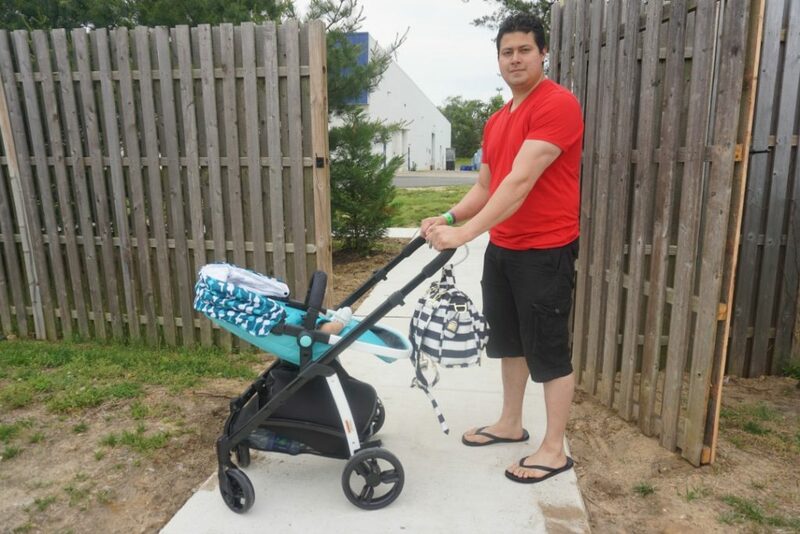 Before reviewing strollers, my husband and I had already purchased three different ones yourselves. I know you may be thinking “what! ?” but when traveling with kids different strollers are important to us. Some days we use a smaller travel system, other times we prefer the heavy duty double stroller. 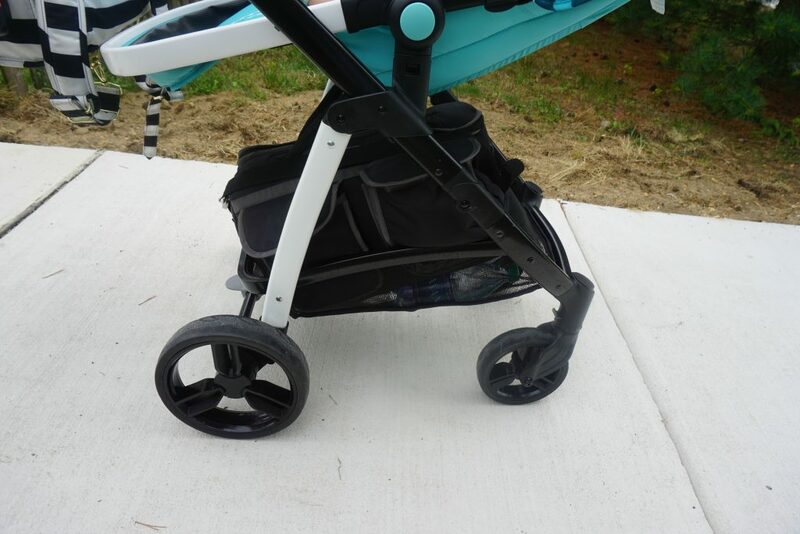 The Mia Mode 3-in-1 stroller is right in the middle, not to small or too heavy -its just right. Mia Moda’s line of baby gear that includes European-styled baby strollers. These are simply built for today’s modern family with a fusion of functions, fashion, longevity and affordability. The Marisa 3-in 1 Stroller, which grows with children from baby to toddler. 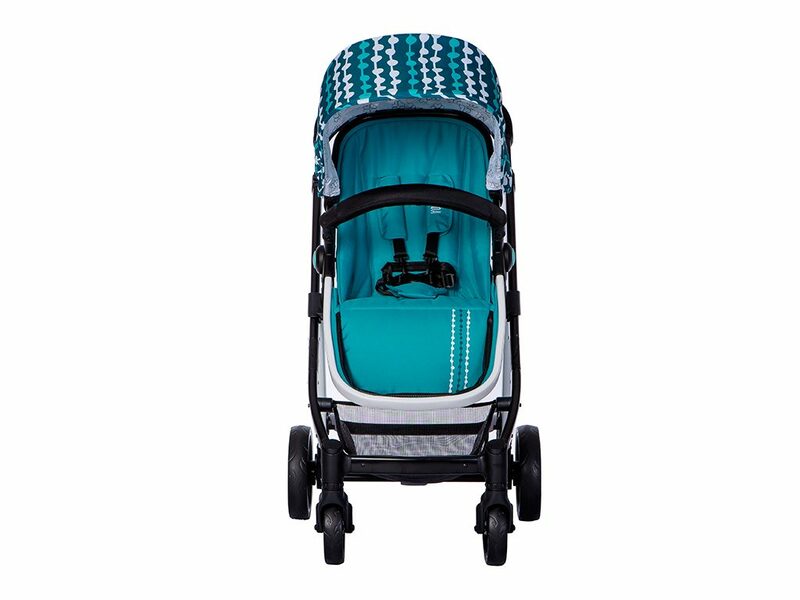 It has features like a padded, reversible seat for parent-facing or forward-facing seating, a flat sleeper seat, conversion to carry cot, adjustable handlebar, and other high tech features for safety, comfort and convenience. To top it all off, it is super lightweight and easy to move around. It was easy for me to move around and nicely designed. quick easy compact fold for storage convenience. This feature is everything now that I have my hands full with my three girls. After loading up all the groceries, this stroller fits amazing in the trunk of my Honda Pilot. Ive had problems with strollers being too heavy for since I am 4’11 and extremely petite. The Marissa 3-in-1 weighs 18 pounds; Capacity 50 pounds. 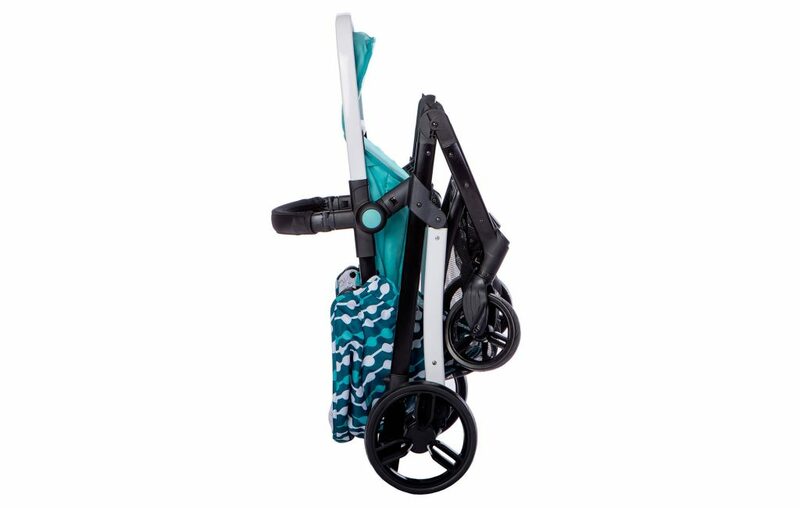 The Marissa 3-in-1 is a perfect summer stroller, the easy access basket is spaceous and fits beach bags, huge travel duffle bags, and heavy packed diaper bags. Also there is enough space in between the basket and the seat to get the bags in and out. Front & Rear Suspension – Independent shocks ensure your child has a smooth and comfortable ride whether traveling down winding paths or over bumpy pavement. Easy slide canopy is height-adjustable to accommodate growing children. Callie is 3 months old, she fits great in this stroller. I can recline her all the way so she can be comfortable in laying down position. She loves taking naps in the Mia Moda Marissa. The Marissa 3-in-1 comes in three fantastic colors Aqua(above),red, and grey. My husband being a tall man at 6″2 and myself being 4’11 the adjustable handlebar gives the perfect comfort while pushing baby around. 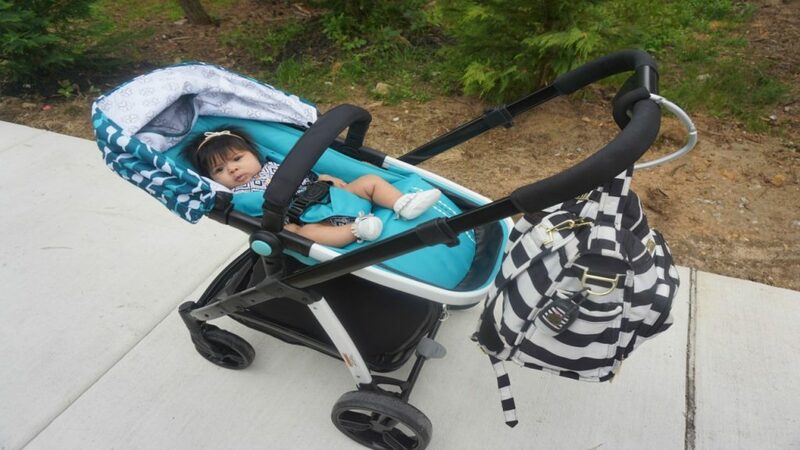 Watch us strolling around with the Mia Moda Marissa 3-in-1 in our trip to Sahara Sam’s. **We received Joovy Nook at no cost in exchange for an honest review. I only recommend products that I believe in. All opinions are 100% my own.